This is Kaiwi, a Hawaiian Monk Seal who took time out this morning to rest on the shoreline of Queen’s Beach in Waikiki. She is known to NOAA animal officials who monitor the endangered species. The seal was born in 2016 at the Ka Iwi area of Oahu island. 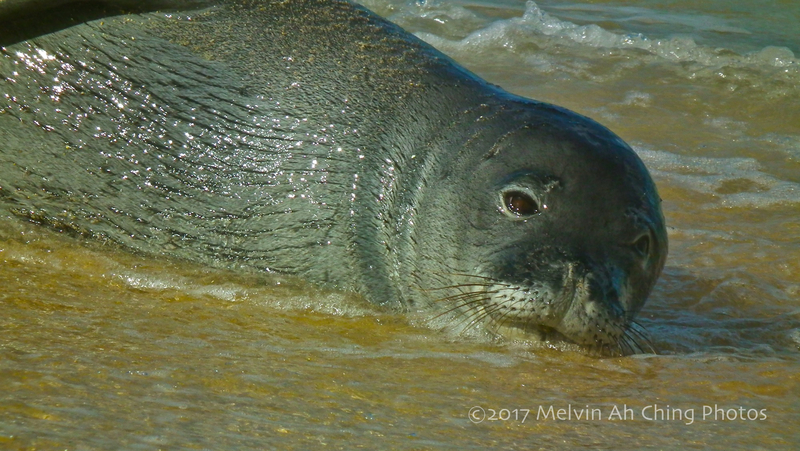 Hawaiian Monk Seals are an endangered species and are protected bynow protected by the Endangered Species Act and the Marine Mammal Protection Act. 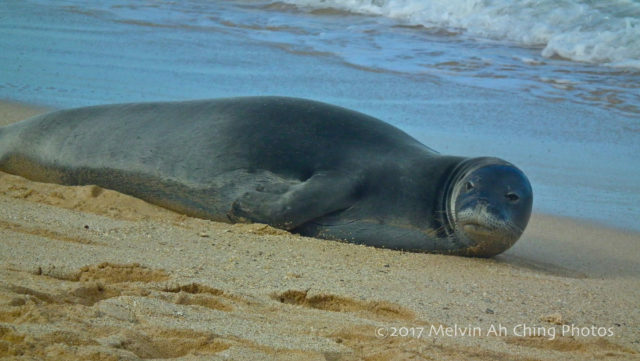 Kaiwi has frequented the Waikiki area in the past, most recently in July during the time that another female monk seal named “Rocky” gave birth and nutured her pup on Kaimana Beach near the Waikiki Natatorium. People are reminded to keep their distance away from the Hawaiian Monk Seal. 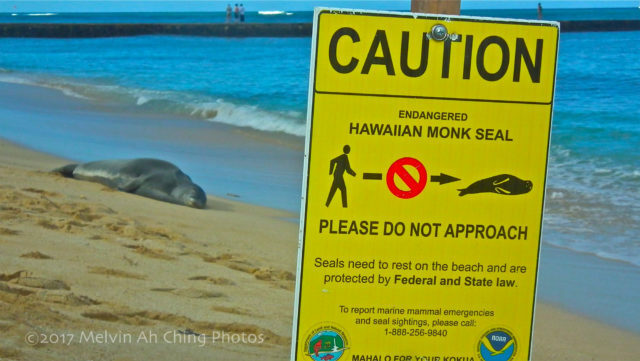 It is a violation of several federal laws to go near or harass a monk seal. Needless to say the seals do attract a crowd as they did this morning. NOAA officials were quickly dispatched to the scene to establish a secure zone around the seal. Many people including I hung around for a while to get pictures. The photos accompanying this piece were shot between 7:00 and 9:00 a.m. in the morning. More photos are on the Hawaii Files Flickr page. 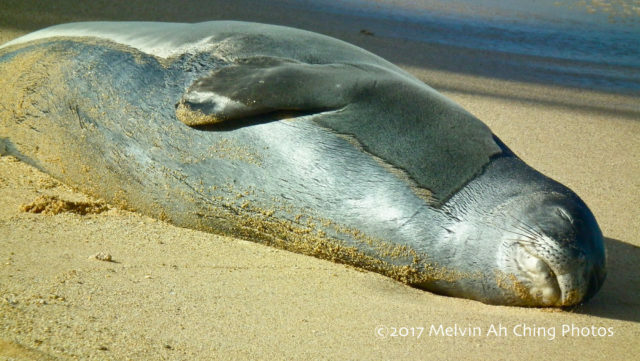 People can report Hawaiian Monk Seal sightings to the NOAA. There is also a Facebook page. Keep your distance from the seal. Do not approach. Seal sleeping. All Kaiwi came to the beach to do is sleep. She gets first class treatment in the heart of Waikiki with her own beach zone.